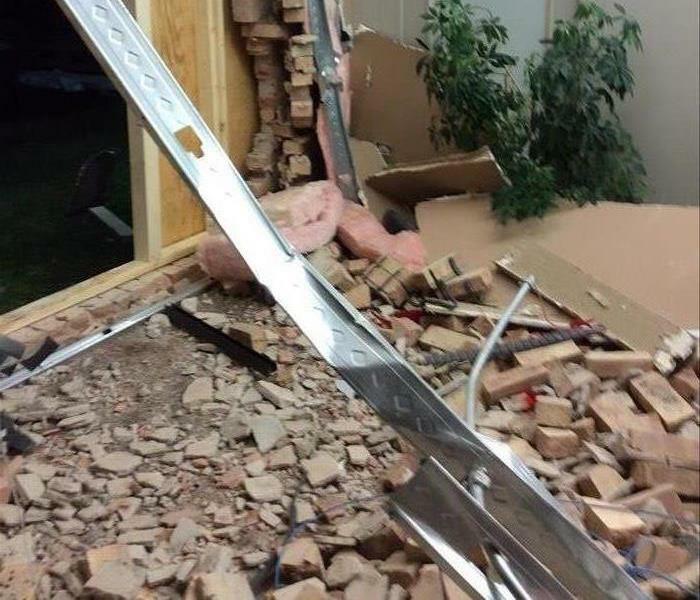 This is the result of a pipe burst on the top floor of a home. 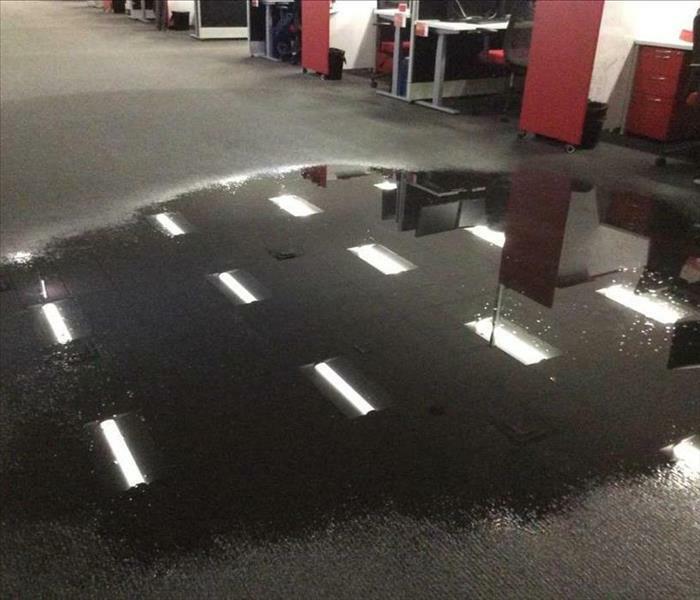 The water was able to find a path down to the main floor through the walls. Water damage can be very extensive and overwhelming! Call SERVPRO of Lombard/Addison at 630-543-1700 for all restoration and remediation needs to take that stress off of you! When the apartment above had a fire, smoke and soot spread throughout the entire building. The worst damage to the other apartments was from the water used to put out the fire. 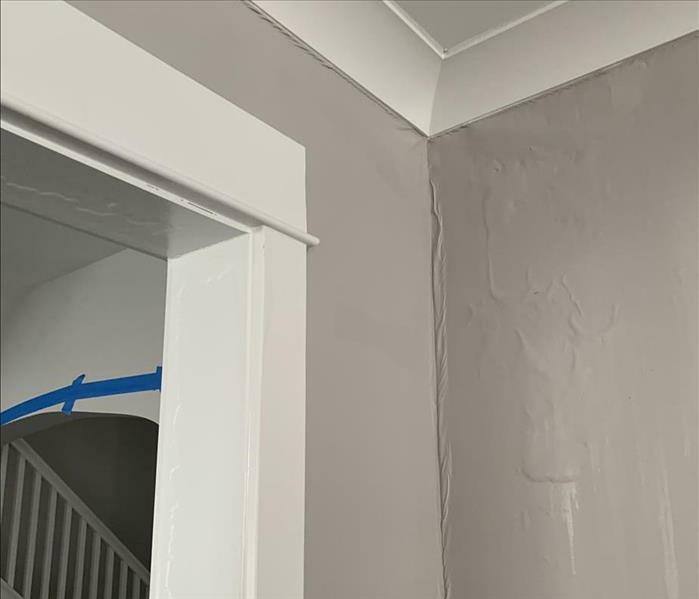 SERVPRO of Lombard/Addison was able to assess the wet drywall throughout the building and devise a plan that would start the drying process immediately. 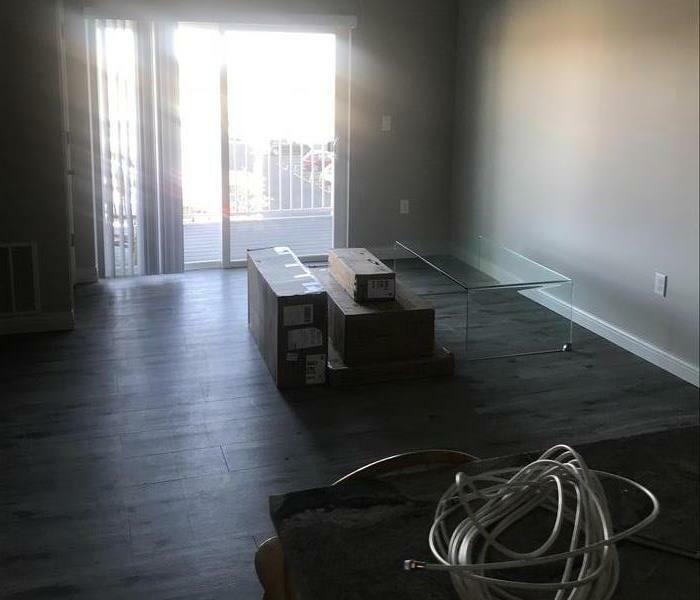 The tenants in the other apartments were grateful for our quick and efficient work to ensure they weren't displaced from their homes for long. 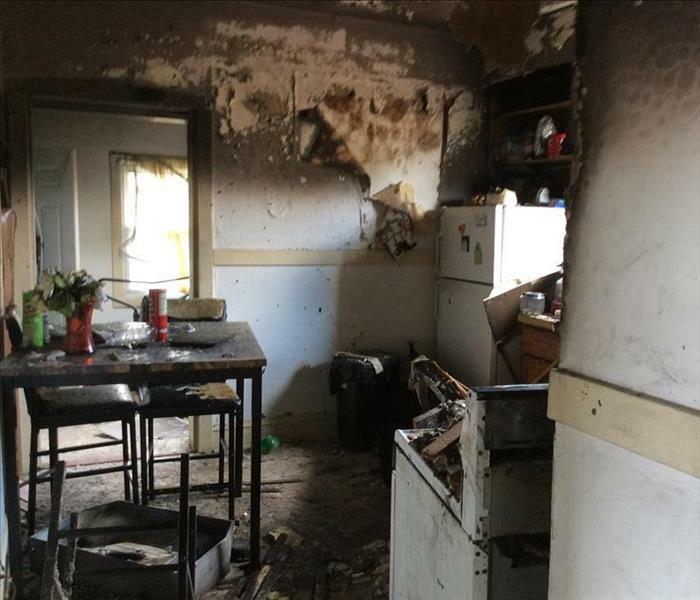 The fire and soot damage was extensive in this apartment. SERVPRO of Lombard/Addison spent weeks cleaning and removing all damaged material from this apartment and the apartments below. The owners were pleased with thoroughness of our work. Every situation is different. 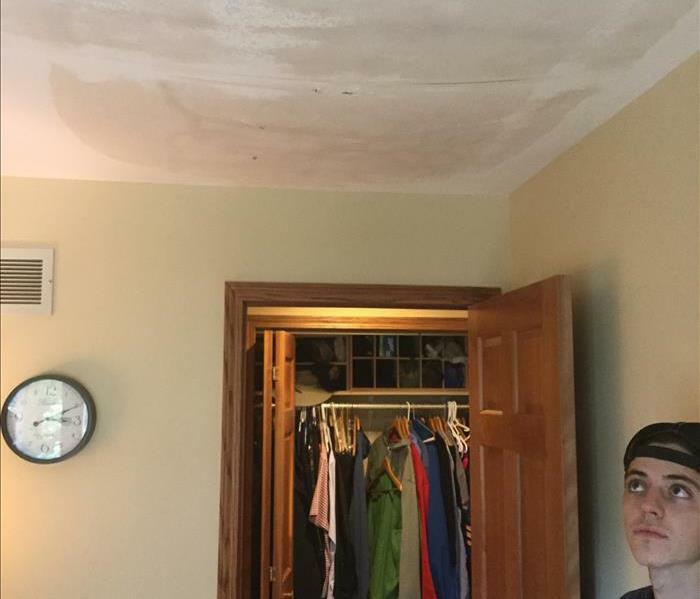 When a pipe burst in the basement of this home, the paneling was affected. There was insulation behind the paneling. 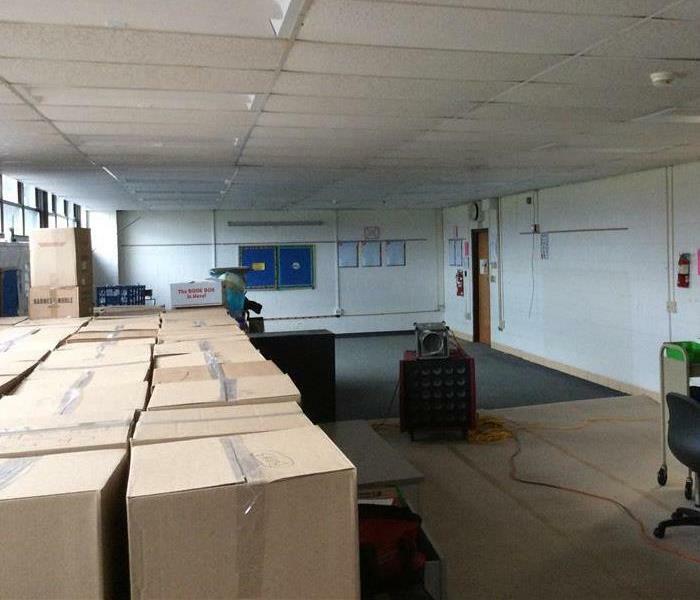 We were able to remove the paneling, but keep the paneling in tact. When the walls and paneling were dry, the homeowners were able to put the paneling back on the wall. "Like it never even happened." In this photo, we have a crew getting down and dirty cleaning up mold found around a window. In this particular retail store there was a leak in the window allowing moisture to create mold. These guys got down on their hands and knees and scrubbed away all mold residue. They also sprayed our SERVPROXIDE product that prevents mold growth up to 6 months after it is applied! When we say, "We are ready for any size disaster." we really mean it. 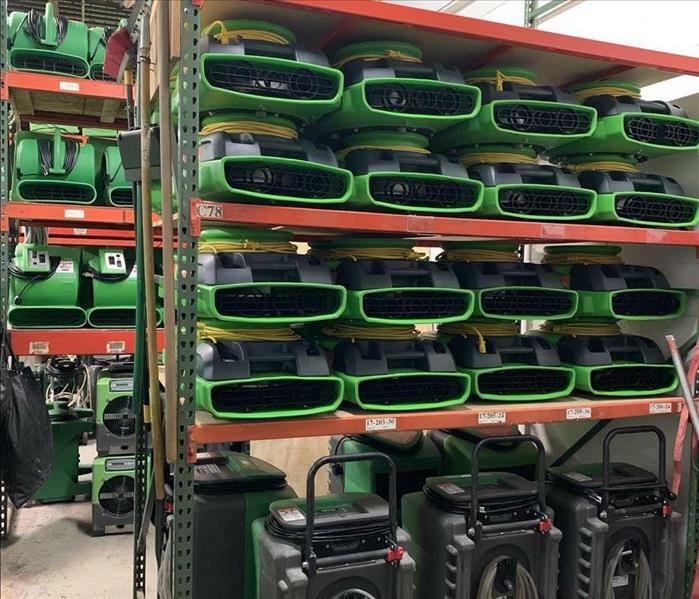 Our franchise has over 200 industrial air movers and dehumidifiers to assist us on any size water job. Storm damage comes in all different styles. We saw homes with water marks up to their second floors and some with just a few puddles in their family room. This is how we handle minimal damage. 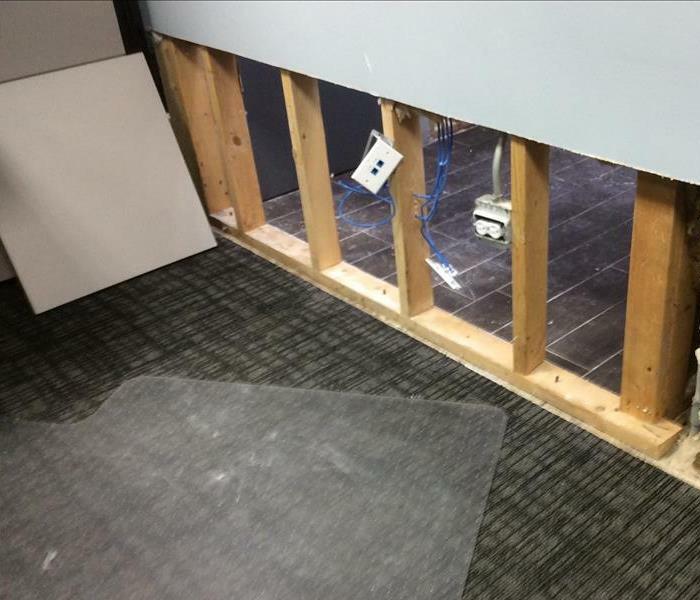 We did not need to completely remove the sheet-rock (drywall) because of the minimal damage. 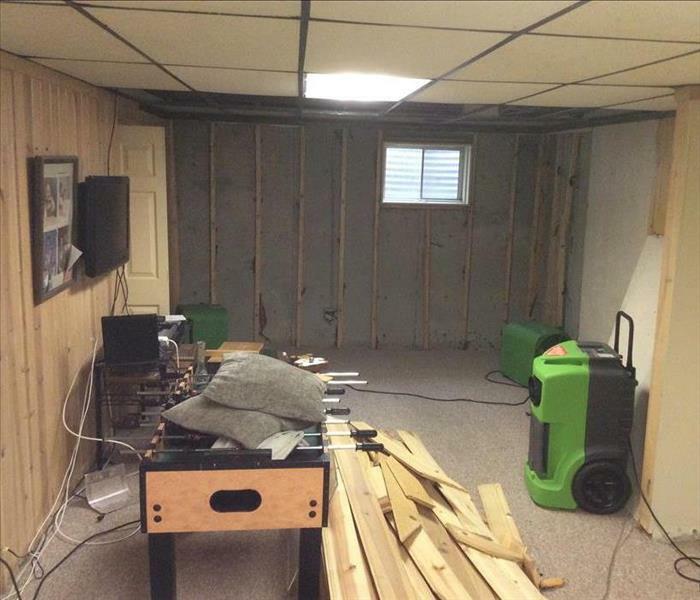 SERVPRO of Lombard/Addison was able to create small holes in the wall and place industrial fans and dehumidifiers near by to create air flow behind the sheet-rock. We have the knowledge and training to assess a situation and devise a plan to be a least invasive as possible. Everyone makes a mistake now and then. A young kid was filling up a large fish tank in the bath tub on the second floor of the home. The water was left running for a few hours before the child remembered. 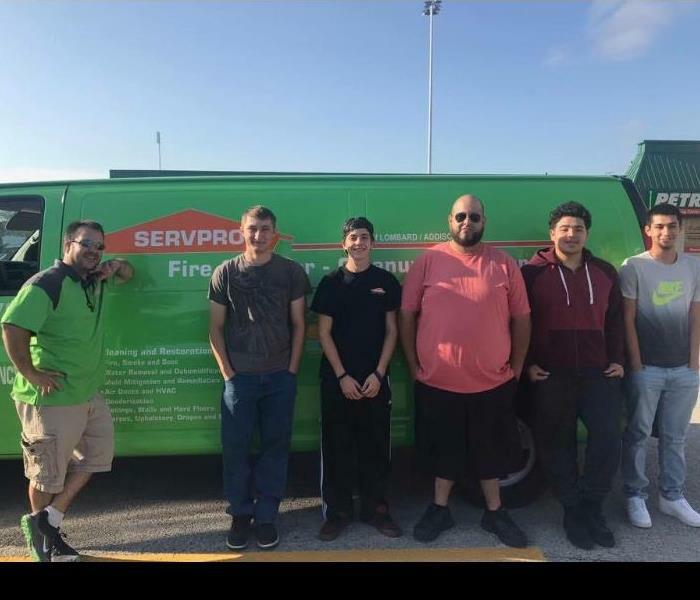 The parents called SERVPRO of Lombard/Addison and we were there to help within the hour! 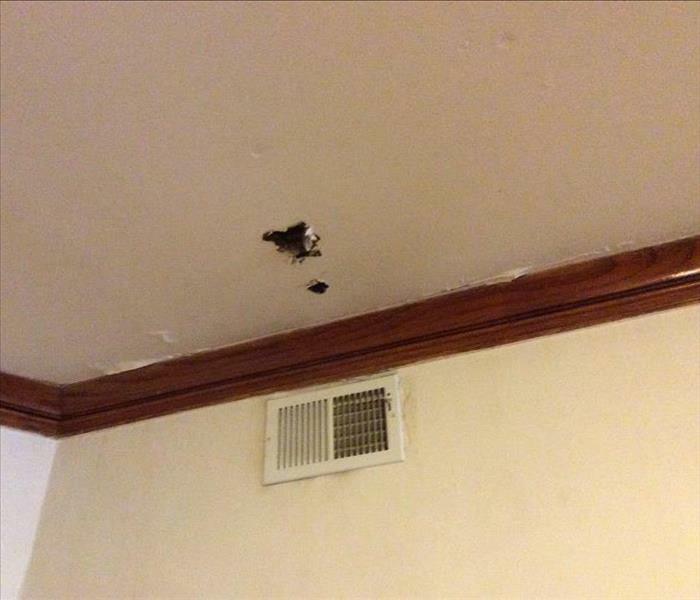 The owner of this apartment was diagnosed with MRSA. MRSA is a very contagious disease. 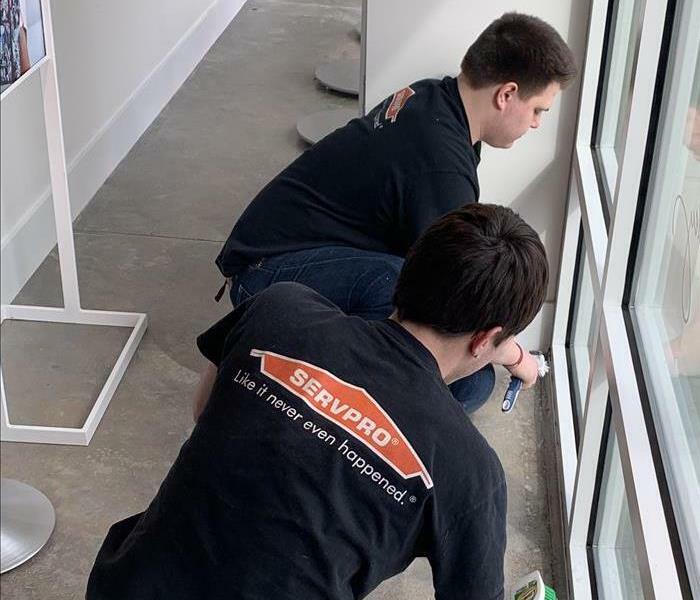 SERVPRO of Lombard/Addison was there to clean the entire apartment and disinfect every non-porous item as recommended by the CDC. This is a photo of our crew on their way down to Houston to help the victims of hurricane Harvey. Our crew was down in Houston for about three weeks. 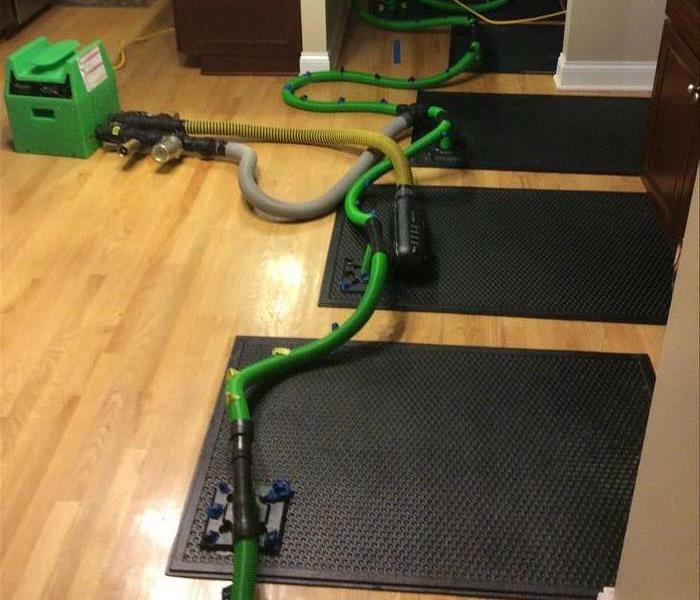 This floor mat drying system is essential for drying hardwood floors in order to prevent cupping or curling. 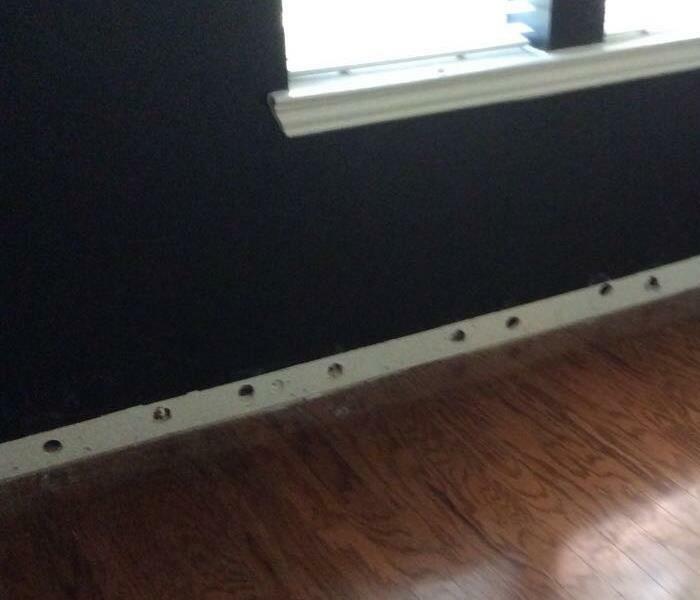 Putting this in place as soon as possible can help save wood floors after a water loss. From left to right this is our Marketer, office tech, and owner all at the Lombard Chamber of Commerce annual golf outing. 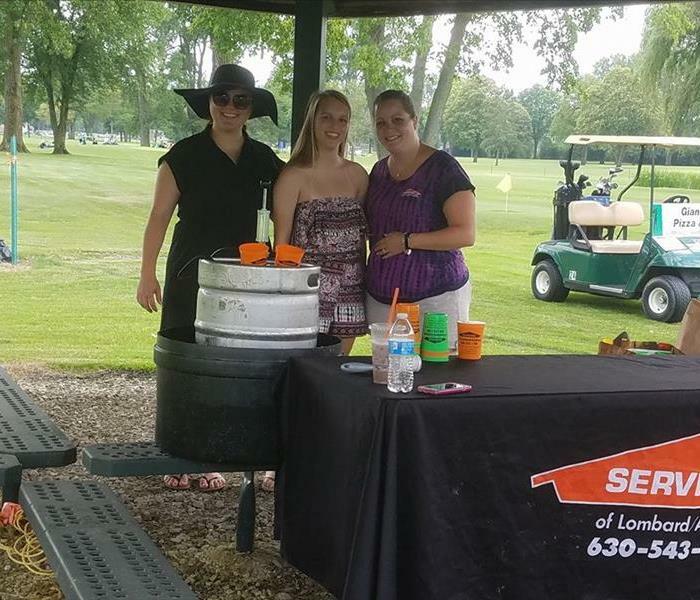 SERVPRO of Lombard/ Addison sponsored hole number 5 in this event. We can't wait for next year! 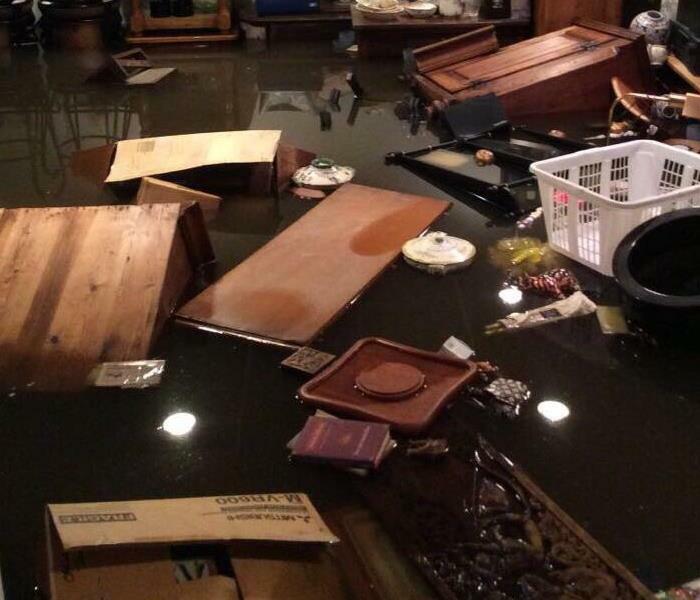 This was the aftermath of a basement flooding in Lake Bluff when our crew arrived on the scene. The owners had three feet of water in their basement. Our crew responded immediately start to restore the basement back to normal.